He was watching as the scalpel slowly revealed… more tv shows like House I have to watch! Medical dramas get me all the time with their twists and turns, incurable rare diseases and stories of hope or despair. These intense shows to watch are a constant battle against the clock as doctors race to save their patients. 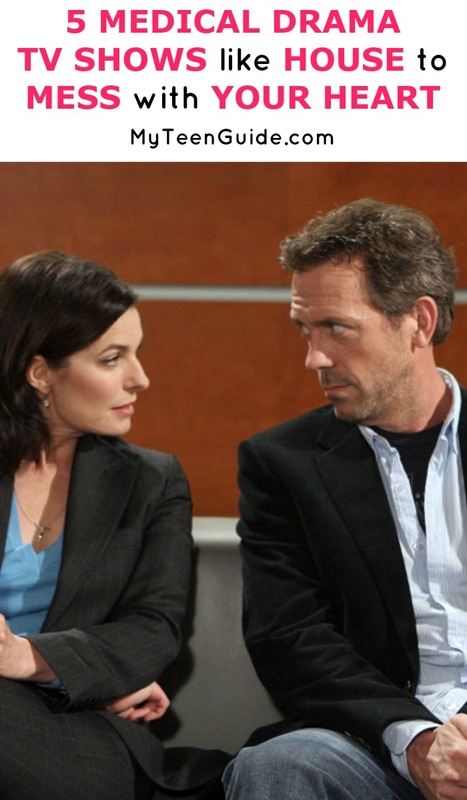 If you want shows to watch on Netflix, many of these shows like House will leave you shocked! Not all of these shows are on Netflix, but I made sure to include below which ones were. That’s where I watch the largest amount of my streaming tv! Check out some of my favorite medical drama tv shows! House is a medical drama television series that premiered on Fox on November 16, 2004, and ended on May 21, 2012, after eight seasons. The series focuses on Dr. Gregory House, played by Hugh Laurie, an unconventional doctor who is dependent on pain medication. House is employed in New Jersey at the fictional Princeton-Plainsboro Teaching Hospital, where he is in charge of a group of diagnosticians. This show has had some ups, downs and some shocking TV deaths and twists. Here are some other TV shows like House. Grey’s Anatomy is a medical drama television series that premiered on ABC on March 27, 2005. The series focuses on a team of surgical interns and their supervisors in Seattle, Washington at the fictional Seattle Grace Hospital. Grey’s Anatomy stars Ellen Pompeo, Sandra Oh, Justin Chambers, Katherine Heigl and Patrick Dempsey among many others. I totally binge watch this show on Netflix. NBC recently renewed this Shondaland show for fall 2016 new season. ER is a medical drama television series that premiered on NBC on September 19, 1994, and ended on April 2, 2009, after 15 seasons. The series showcases the happenings of life inside an emergency room in Chicago, Illinois at the fictional County General Hospital. ER stars numerous cast members including Anthony Edwards, George Clooney, Noah Wyle, Julianna Margulies and Sherry Stringfield. Sorry, you won’t find this show on Netflix. Related: Did You Miss The Best Drama Movies On Netflix? Nurse Jackie is a medical dark satirical comedy-drama television series that premiered on Showtime on June 8, 2009, and ended on June 28, 2015, after seven seasons. The series focuses on Jackie Peyton, a drug-addicted nurse in the emergency room in New York City, New York at the fictional All Saints Hospital. Nurse Jackie stars Edie Falco, Merritt Wever, Dominic Fumusa, Peter Facinelli, Anna Deavere Smith, Stephen Wallem and Paul Schulze. Nurse Jackie is a show you need to watch on Netflix! Scrubs is a medical comedy-drama television series that premiered on NBC on October 2, 2001, and ended on March 17, 2010, after nine seasons. The series focuses on the main character of Dr. John Dorian in California at the Sacred Heart Teaching Hospital. Scrubs stars Zach Braff, Sarah Chalke, Neil Flynn, Donald Faison, Judy Reyes, John C. McGinley and Ken Jenkins. I love watching this funny show on Netflix, though is has heartwarming and intense moments too! Related: Have You Seen All The Best Dramatic Movies Starring Your Favorite Comedy Actors? Chicago Hope is a medical drama television series that premiered on CBS on September 18, 1994, and ended on May 4, 2000, after six seasons. The series focuses on the happenings of the staff in Chicago, Illinois at the fictional Chicago Hope Hospital. Chicago Hope stars Adam Arkin, Hector Elizondo, Mandy Patinkin, Billy Kronk, Diane Grad and Dennis Hancock. Sorry, this intense show isn’t on Netflix right now. Do you know of any other good TV shows like House? Do you like watching medical dramas? I could watch Grey’s over and over again! Tell me what you think in the comments!